Outside Phnom Penh ‘The Killing Fields’ can be found. 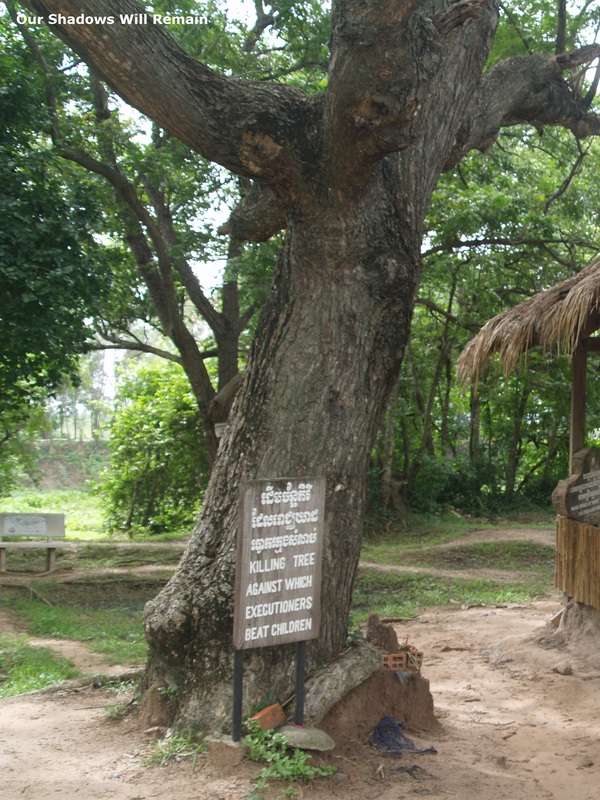 This is an area where people were brought to be executed and buried in mass graves during the reign of the Khmer Rouge. In the center of the fields is a large white monument to the unknown people whose bodies were found in the graves. This monument is where they house 5,000 skulls in the various conditions in which they were found as a reminder to those who visit. The grave sites were huge and compassion wasn’t considered when they nailed the signs in front of them reading ‘2000 bodies were found here’. It was a real shock. I stood there thinking about these people brutally killed and in most cases decapitated, all lying in this pit. And there wasn’t just one, there were many. 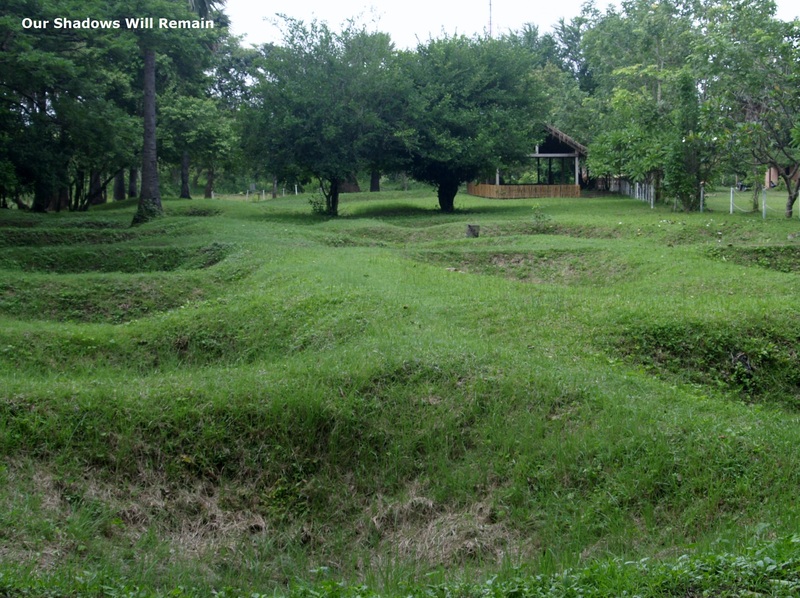 At The Killing Fields or Choeung Ek there are over 20 mass graves which contained around 9,000 human remains when they were exhumed. In Cambodia it is thought there are around 20,000 mass graves containing a majority of the 2 million people who are predicted to have died between 1975-1979. One of the most disturbing facts was that only in 2004 had they started to bring those responsible to trial for the crimes they committed, though Pol Pot had already died in 1998. A year after I left Cambodia I read that one of the men who was recently brought to trial had died before sentencing. Since then, in 2014, two other men have been sentenced to life in prison for their involvement in the genocides. It was truly a life changing visit and I feel that these places are important for us to visit as a reminded of the mistakes the human race has made. From my experiences in Cambodia and throughout Asia I did notice that they were unable to display the information respectfully and the shock factor was important. have you seen the film, “Enemies of the People”? It is one journalist’s search for truth behind the Killing Fields. your post reminded me of some of the topics in the film; i highly recommend it. I will have a look for it. Thanks for the recommendation. I have only seen the movie titled The Killing Fields and read the book First They Killed My Father which focus on this subject.